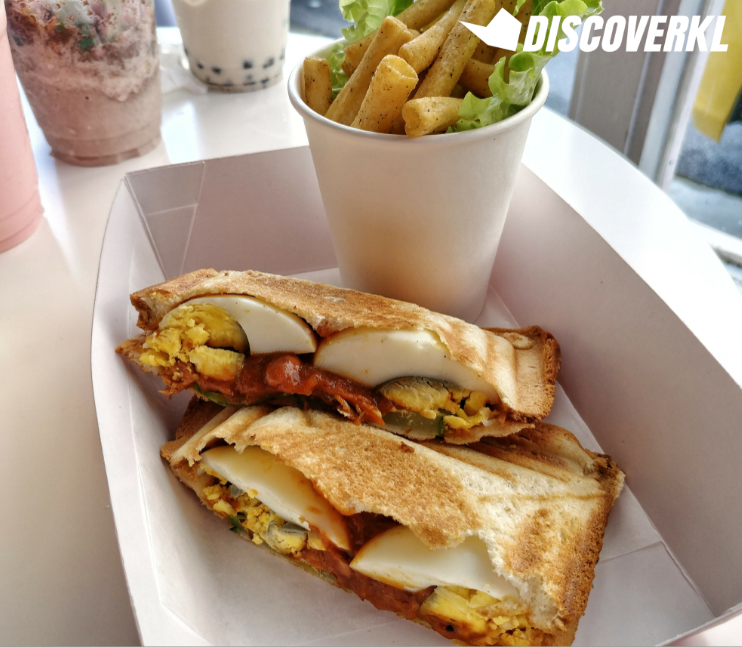 ChubbeeCloud's New Menu: Boba Pearl Toasts, Nasi Lemak Toasts & More! 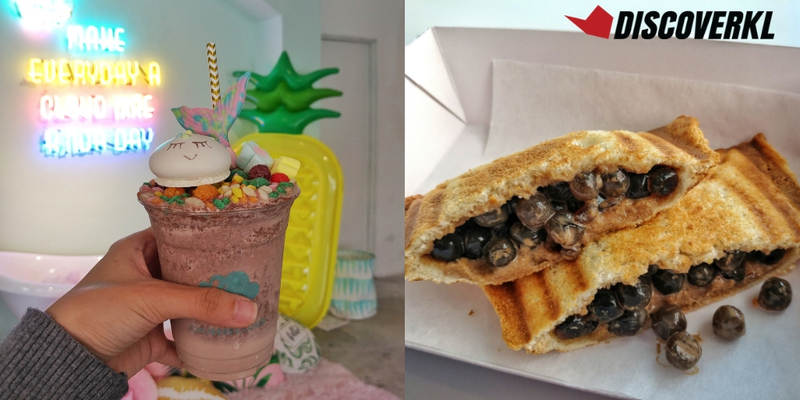 Since their grand launch in early September, ChubbeeCloud has been hard at work crafting their new menu and even recently temporarily updating their store décor according to the season. 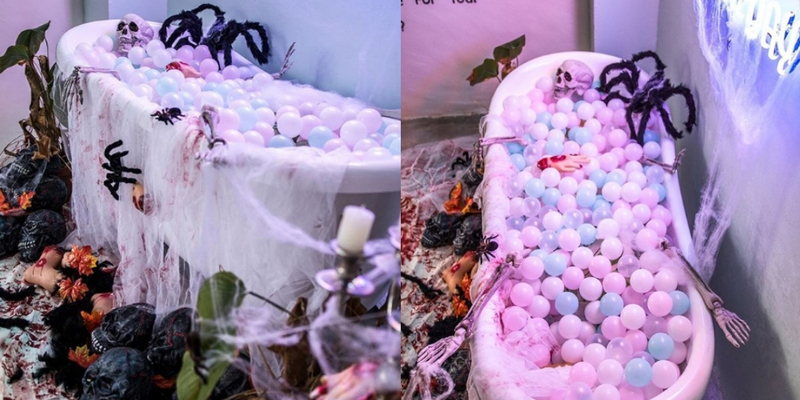 For Halloween, their cheery Instagram-worthy section was traded for something dark and twisted, complete with creepy crawlies and black skulls. 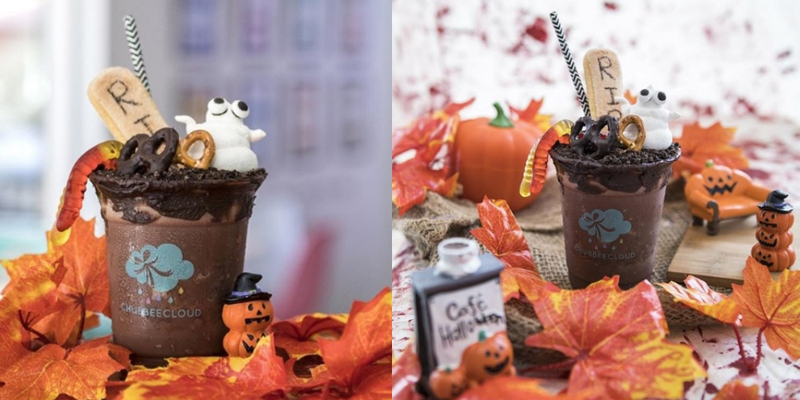 The seasonal Gravedigger’s Milkshake was featured and it was a chocolate milkshake topped with handcrafted meringue ghosts, wiggly worms, mud and black-blood drenched pretzels. This time around, ChubbeeCloud has launched their new menu and the central theme is boba pearls. According to Edmund of ChubbeeCloud, the team took roughly a week of R&D to formulate the pearls. 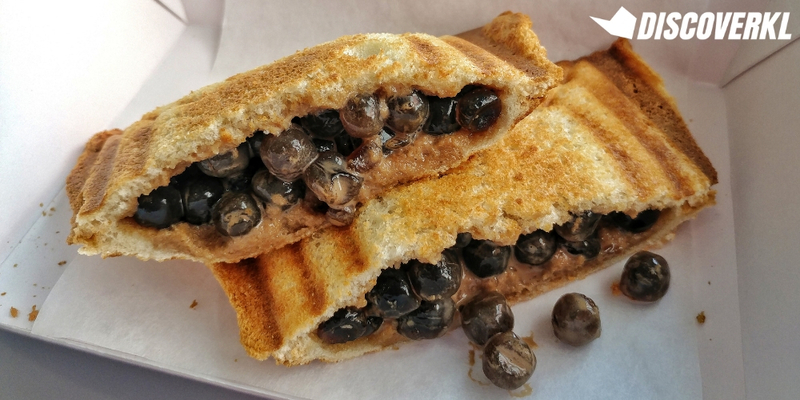 The Teh Tarik Boba Toast (RM10.9) is boba pearls sandwiched between white bread toasts. The bread was toasted for precisely 3 minutes and the team uses a special toaster (not your regular run-of-the-mill toaster) to accommodate thicker toasts like theirs. The resulting dish is bread with an enjoyable crust, which thankfully isn’t charred in the slightest. In fact, it’s more of a medium brown shade. 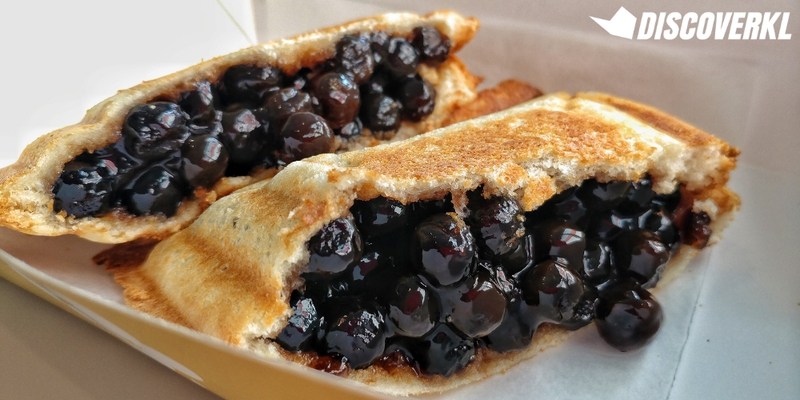 We would suggest having this as soon as it arrives as the liquid-based teh tarik boba pearls might soak through the bread and cause it to become soggy—this was the case with ours. As the pearls are encased mostly within the centre of the toast, it’s best to take a bigger bite and get right in there. We would have preferred the teh tarik taste to be a little more kaw as it wasn’t too strong. That being said, it’s mild enough even for those who aren’t huge teh tarik fans to enjoy. The Brown Sugar Boba Toast (RM10.9) is next and this was the clear winner amongst the 2 flavours. The brown sugar pearls feature a slight hint of sweetness to it and we can see why it works so well with the toast. It tastes almost like having an original brown sugar milk tea beverage with a side of toast—classic. Next, we had the Nasi Lemak Toast Sambal (RM12.9). To be frank, we initially weren’t too keen on the idea, especially since the nasi lemak food trend has been done to death. But what ChubbeeCloud does differently is ensure that the nasi lemak remains as the focal point of the dish, with the toasts as its supportive other half (as it should be). Put it this way, think of the dish as a Western meets Asian-style Big Breakfast. Here’s a little pre-warning: the ikan bilis sambal is spicy (all 3 of us tried, just to make sure that it wasn’t just one person’s low tolerance of spice). We liked the flavours though—there’s not a strong ikan bilis flavour but the sambal has character of its own for being spicy. You’d likely enjoy this one if you like your sambal spicy. The dish is served with a side of salted egg cracker fries and it’s pretty darn addictive. We found the boba pearls in the Boba Brown Milk Tea (RM12.9) to harden rather quickly and this is perhaps due to the fact that the drink is cold. Our tip would be to drink it as soon as it arrives (of course, after grabbing a quick shot for Instagram). The drink isn’t too milky, ideal if you’re not a fan of overly rich boba milk teas. In fact, it’s pretty light and refreshing, especially after having the savoury nasi lemak toast. Finally, we also got to try the new flavours of the signature Magical Merricorn Milkshake (RM16). ChubbeeCloud launched with their Vanilla flavour—find out what we think about the original flavour here. The Magical Merricorns now come in 2 new flavours: chocolate and strawberry. 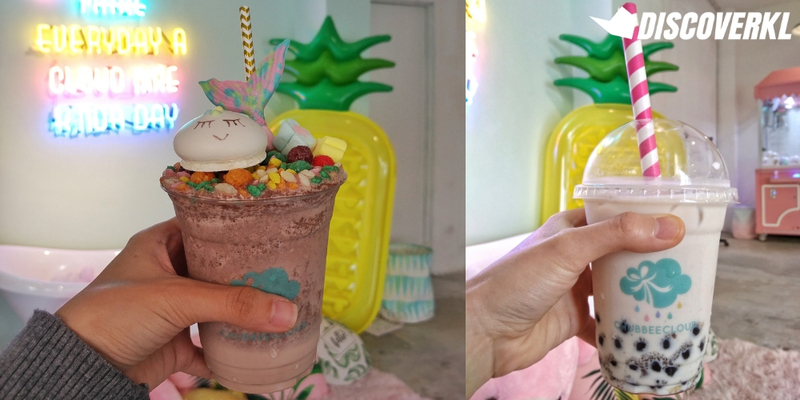 Both are made with milk, a generous amount of ice cream and to top it off, there’re the Froot Loops, unicorn meringue and rainbow sprinkles. We enjoyed the chocolate milkshake better, perhaps because it’s a classic flavour after all. But in saying that, unfortunately both drinks weren’t very memorable, perhaps as our preference is still with the milk tea. What we did enjoy from both drinks though is the crunchy toppings, particularly the Froot Loops. Enjoy this quickly as the cereal (naturally) absorbs the liquid and will turn soggy quicker than you realise. We’d suggest enjoying the toppings alongside the drink for the ultimate breakfast cereal experience. We anticipate this one being a hit amongst kids.